Tempered glass gradually die out? what the happen？Try this. However, the screen size is big; there are more things to worry about that. For Example, whether an accidental explosion of a screen is a problem is even more serious. But how we can do? Just as consumers, handset makers are trying to strengthen the screen material also, so that the screen can be to do better intensity. However, this is not the case because many accidents in life that threaten our mobile phones; therefore, attaching a film to the screen seems to be a logical consequence of buying a machine. 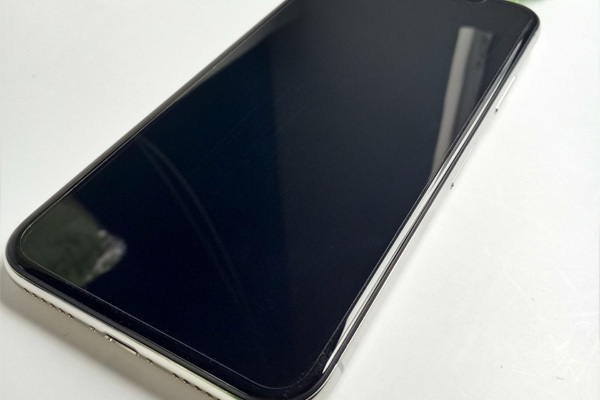 However, the markets have all kind of screen protector, choose which one is better? 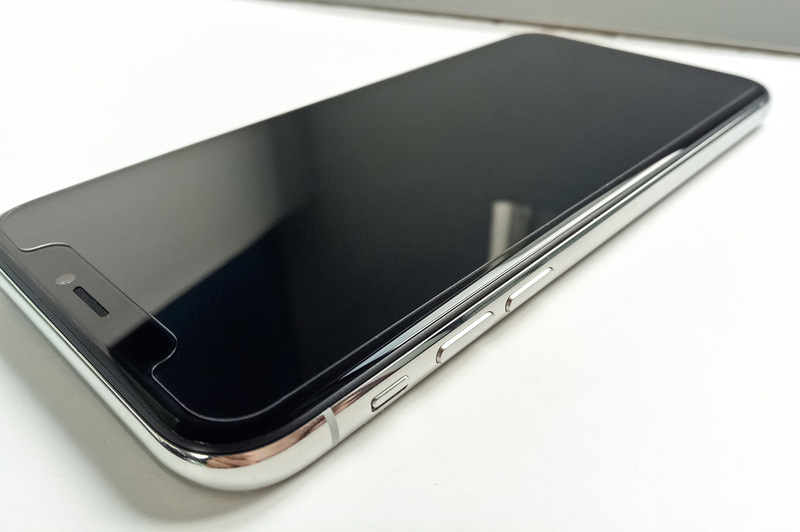 Will it be tempered glass film? Let we check our products with more popular products on the market.-0.32 Gold Repair explosion-proof screen protector (soft film). EHANG exclusive research and development of products. First of all, look at the unique packaging and product design. 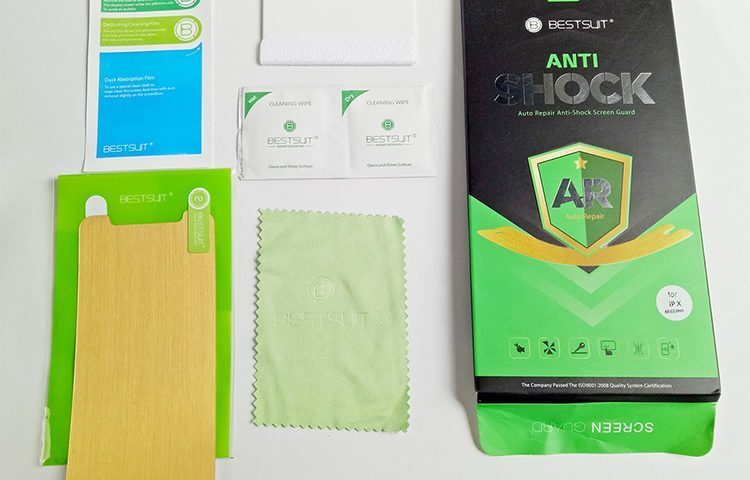 This package designs are very tough, on front side to give consumers psychological implications, feel the explosion-proof performance of the product. Package design with a shield AR logo and scratch repair function. On back of the package we can see EHANG's introduction to this product. In order to be able to have a variety of properties at the same time, this film with a 5-layer structure. Well-matched structure allows the film has a very good physical performance. Now, let's turn our attention to the screen protector. 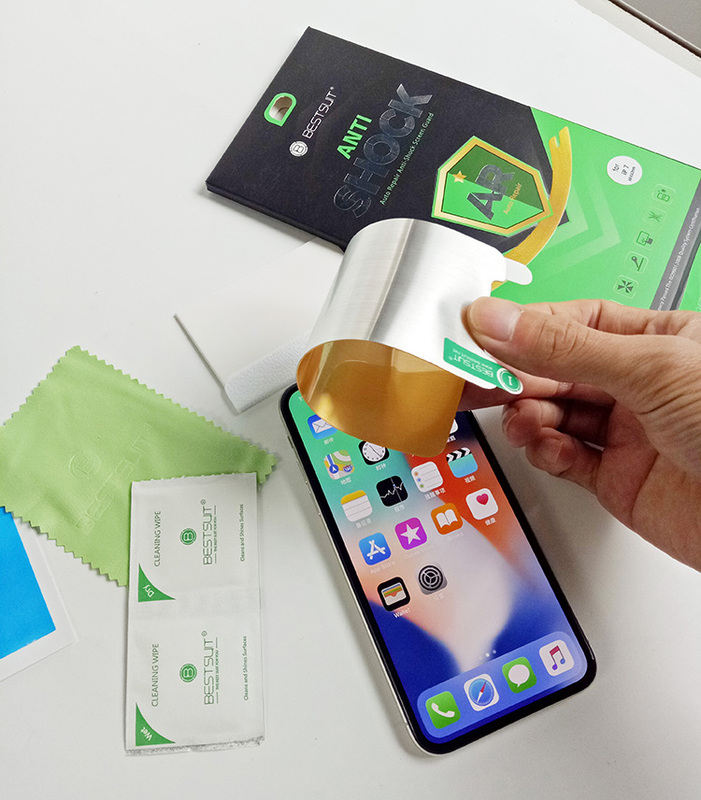 After opening the package, we can find some common install tools, such as rags, alcohol cotton, auxiliary stickers Bubble with a hard card, basically help users to install. From the structural point of view, EHANG to ensure that the explosion-proof soft film with a five-story structure. From top to bottom is divided into Nano-hydrophobic oleo phobic anti-fouling layer, 5H hardness enhanced high-hardness anti-skid layer, impact dispersion layer, anti-puncture impact absorption buffer layer and explosion-proof adhesive electrostatic adhesive layer. The use of five materials does not affect the thickness of the film too much (only 0.32 mm), not only touch more comfortable, but also does not affect the sensitivity of the touch, in the choice of materials, EHANG have own set of methods. Of course, have a good screen protector not enough, the film and cell phones can be seamless fit, that is comfortable. EHANG in order to have a better fit, use anti-static adhesive electrostatic adhesive layer. This adhesive layer can not only directly ignore the light oil and dust in the film when the impact, but also because of the use of electrostatic bonding mode, so you can repeat the paste, the effect is still quite good. Perhaps you will say that now a lot of tempered film is also the use of electrostatic bonding mode, why should stress EHANG explosion-proof soft film electrostatic bonding performance? Because of the general tempered glass of the film to ensure strength that is a very fragile mode, so with a little force on the broken. EHANG explosion-proof screen protector in the unique explosion-proof performance, have a very good flexibility also, able to withstand the user's impact. So EHANG explosion-proof soft film can withstand what kind of test, look down you know. 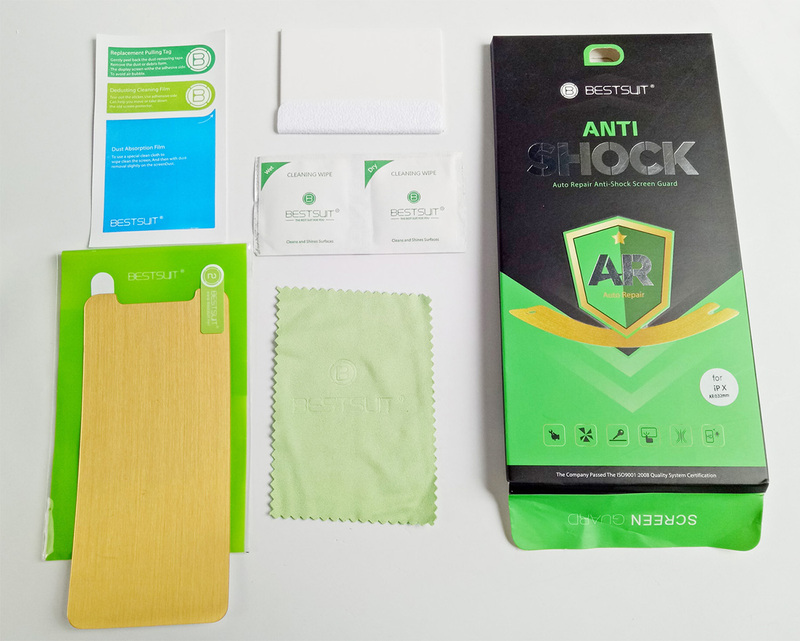 Before mentioned EHANG explosion-proof soft membrane structure and characteristics of the overall thickness is the same as tempered glass, which is also where many other explosion-proof film cannot be done. In the fitting part, EHANG explosion-proof film in the whole position control is very precise; there will be not holes are not accurate. The film corner position is quite mellow, after the film cannot feel too much, far from a look bare metal feeling. 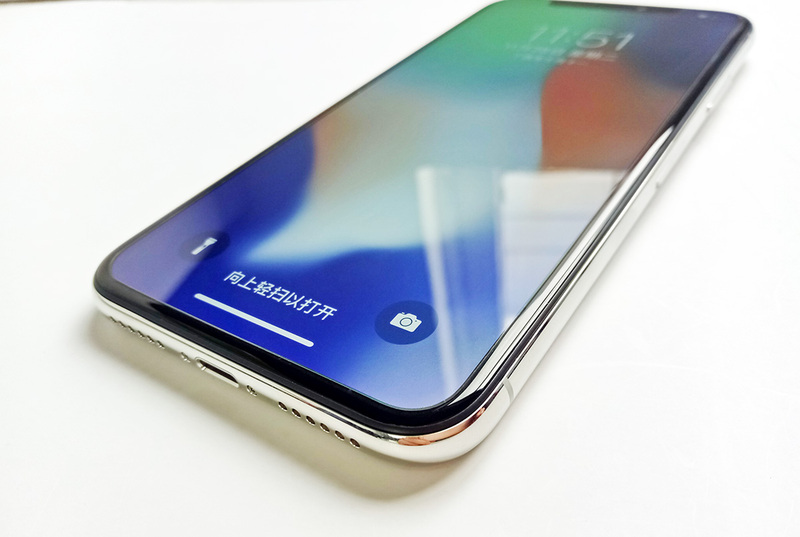 In addition, as the film is transparent, it will not be the same as the 3D tempered glass, avoiding the awkwardness of the full screen film shielding the screen. First, let we test the bending ability of EHANG explosion-proof soft Film. In almost 180 ° double folding film case, the explosion-proof soft film is still no signs of fracture. 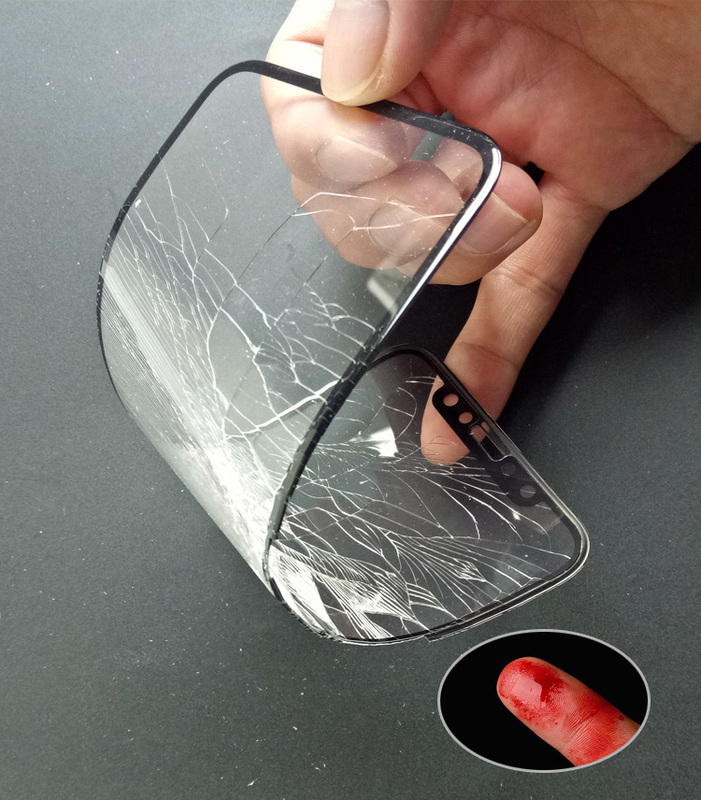 On the contrary, compared to ordinary tempered film, as long as a little forced to fold, it is easy to appear broken, and broken glass even will hurt the human body. This is also the inherent advantage of the EHANG soft film, better safety and toughness, to avoid the other accidental injury caused by the rupture of the explosion proof film. 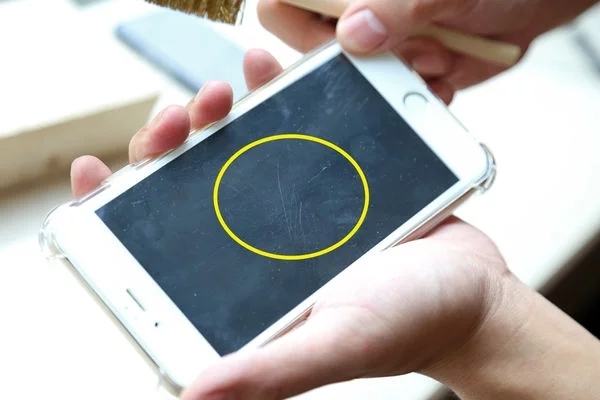 Test in the wire brush, the ordinary tempered glass film appearance scratches, let alone friends with obsessive-compulsive disorder, an ordinary user can not acceptable. In contrast, easy to scratch explosion-proof soft film slight scratches appear, but also in a short period of time will automatically repair scratches, intact. So far, the level of violence is not enough, the next test of the most violent smashing nails, but also the most interesting part. Paste EHANG explosion-proof soft film, got a piece of wood and nails, and then started shooting. A crazy knock, nail gradually into the wood inside, but the phone screen and no problem. If at this time is replaced by ordinary tempered film, I believe not only the film is broken; it is likely that the entire cell phone have to scrapped; Please take a look at the video introduction. Overall, EHANG Explosion Proof Film has achieved quite good levels of impact resistance, ductility and self-healing. 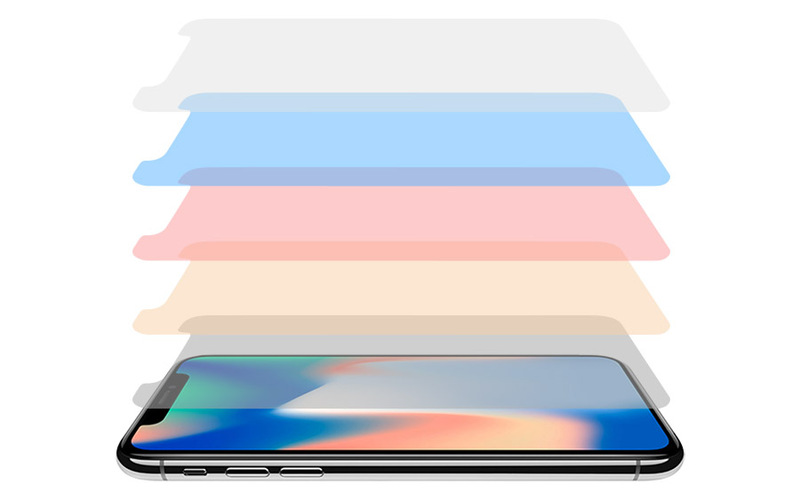 Normal use, as long as not super-violent accidents, EHANG explosion-proof soft film is still well protected to the phone from harm; a unique five-layer composite material to create this explosion-proof Film, both with the strength of the tempered glass film , But also has some ductility, and can also be quite wear-resistant. The advantages of a variety of foil integration; this is its greatest advantage. If you think such a match is not enough, want to protect the whole machine, you can also choose EHANG explosion-proof case. The whole body with a soft performance is a good helper for mobile phone; Click to view product details. Incidentally, explosion-proof film products also matte explosion-proof film, anti-blue explosion-proof film, silk screen explosion-proof film, smooth explosion-proof film, but also can provide product development.